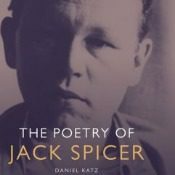 For a poet who lived in a self-imposed publishing exile, not allowing his poetry to be distributed outside his coterie of friends and associates in Berkeley, California, and later the North Beach neighborhood of San Francisco, Jack Spicer has been very well-served by posterity. Published exclusively with the smallest of presses during his lifetime, Spicer’s work in recent years has been gathered in a collected poems, a collected lectures, and a biography by a significant academic press. The latest publication on this cryptic, powerful and, as it turns out, influential poet is The Poetry of Jack Spicer, “the first full critical study of this San Francisco Renaissance poet.” Written by Daniel Katz, a scholar who has previously published books on Samuel Beckett, and expatriate American modernist writers, this is a focused study that elucidates some of the most important concepts and practices of Spicer’s poetry in five interconnected essays that deal with Spicer’s life and work in distinct, chronological periods. The trick naturally is what [Robert] Duncan learned years ago and tried to teach us — not to search for the perfect poem but to let your way of writing of the moment go along its own paths, explore and retreat but never be fully realized (confined) within the boundaries of the poem. This quote, from Spicer’s letter to Robin Blaser, which appeared in Spicer’s poetry collection Admonitions (a publishing history that itself points out how Spicer blurred boundaries between poetry and prose, theory and practice, the man and the poet) best summarizes Spicer’s practice of seriality. Influenced by his friend Robert Duncan’s use of a less rigid approach to writing poetry, which no longer privileged the singular, coherent expression of a single poem, Spicer began in the late 1950s to compose book-length sequences of poems, dubbing his early work “one-night stands.” Katz explicates Spicer’s practice of seriality, and provides illuminating close readings of several of Spicer’s early, non-serial poems, which have not aroused as much critical attention as his later work. It’s refreshing to read interpretations of Spicer’s early poetry, because it is deft and often humorous, and frankly less bitter than much of his later work. There is a playfulness in Spicer’s early poetry that takes on a more menacing tone in his later writing. Consider “Psychoanalysis: An Elegy,” which Spicer wrote in the late 1940s. A call and response from analyst to analysand, it is a riposte to the fad of psychoanalysis, but it is also one of the most earnest and pastoral California poems this poet of the local ever wrote. In his astute reading of the poem, Katz writes: “Certainly the temporality of drift in ‘Psychoanalysis: An Elegy’ is counterbalanced by a circular, cyclical temporality of the seasons, recitation, and neurotic repetition, yet what both these conceptualizations share is a resistance to teleological frameworks of progress, arrival and completion.” It might be shocking for readers familiar with Spicer’s work to see him get the academic treatment, yet Katz illuminates important aspects of this work from a point of view that brings new interpretations to light. However, throughout Spicer’s work hovers the possibility of another space of potential comradeship, beyond the City — San Francisco, Socrates’ Athens, Rimbaud’s ‘villes’ — and over and against the infolded loneliness of katabetic descending and ascending. This is the world of gay companionship Whitman sketches in his “Calamus,” or even more, in his non-katabetic, non-teleological “Open Road” of encounter and sympathy. In the decades since Spicer’s death in 1965, discussion of his work has been scant, even outside of the mainstream. Robin Blaser published the first comprehensive study of Spicer’s work, “The Practice of Outside,” in 1975. 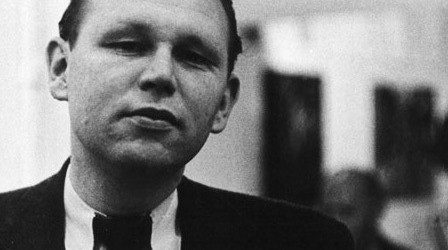 A decade later, Ron Silliman published “Spicer’s Language,” a considered and revealing essay that made clear Spicer’s importance to Language poets. 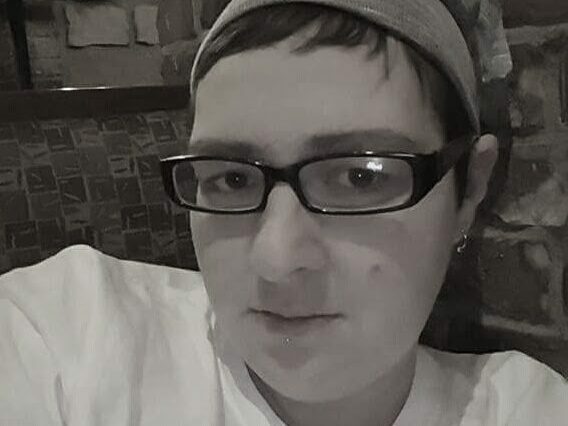 But Spicer’s work, and especially his later poetry, is famously difficult: Labyrinthine, and at times so illusive and seemingly devoid of center, that critics are often forced to resort to metaphors when describing it. But time often clarifies the mystery of “opaque” poetry. And if anyone needed convincing that we are in the midst of a Spicer renaissance, this well-considered academic treatment is it. Katz’s critical insight is sharp, yet he retains an obvious warmth to Spicer’s work. He died from killing himself. He no longer had a public mask.